Electrocuted On The Job & Looking for a New York Attorney? | Friedman & Simon, L.L.P. Did you experience an electrical shock accident on a construction site in New York? Are you facing medical bills, or have you lost wages because of your construction site electrocution injury? You deserve compensation for your physical, emotional and economic damages. Our team can help. Speak with a New York electrocution accident and injury lawyer at Friedman & Simon, L.L.P. today. Call us at 516-932-0400. 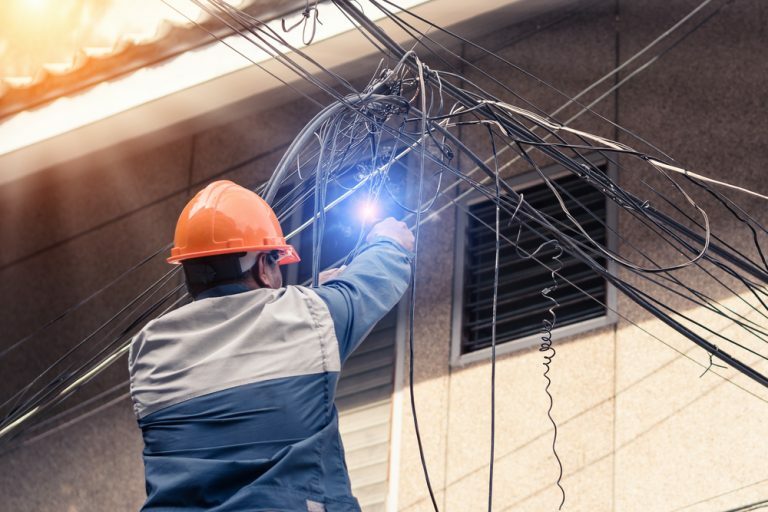 Construction workers dealing with physical, emotional, and economic damages resulting from an electrocution accident have the right to recover compensation for their injuries. However, New York imposes a statute of limitations on how long a person has to pursue compensation for damages after sustaining injuries. Failing to file within the time proscribed by law will negate your rights to recover compensation for your damages. Do not wait to get legal representation. Speak to our lawyers at Friedman & Simon, L.L.P. by calling 516-932-0400 before time runs out. What Can Friedman & Simon, L.L.P. Do for You? An attorney for Friedman & Simon, L.L.P. will work to recover compensation for your physical, emotional, and economic damages, including injuries, lost wages, medical bills, disability, and pain and suffering. Sometimes, several parties may be liable for your injuries, including the building owner, a subcontractor, or even a manufacturer of a part, tool, machine, or product containing an electrical defect. Our legal team will review the case facts and identify all liable parties. A team member at Friedman & Simon, L.L.P. will keep you up to date regarding your case. This includes replying to your emails and text messages, as well as returning your phone calls. We will also communicate with defense lawyers and insurance representatives on your behalf. Has an electrocution accident affected your life? Are you facing medical bills due to someone else’s negligence? Do you need help understanding your rights or getting compensation? Call 516-932-0400 to speak with a New York electrocution accident and injury lawyer from Friedman & Simon, L.L.P. We are ready to fight for you. Your electrocution injuries may be the result of improper protective equipment or failure to adhere to safety standards set forth by OSHA, New York Labor Laws, and the New York State Industrial Code. If another party caused your injuries, you can file a case to hold that party liable for your injuries. Get help from Friedman & Simon, L.L.P. Call 516-932-0400. Call 516-932-0400 to secure help from a construction accident lawyer. If you are ready to speak with a lawyer about your electrocution accident, call Friedman & Simon, L.L.P. today. Our multi-lingual staff can assist you in English, Spanish, Bengali, Tamil, or Kannada. Do not wait any longer to seek legal representation. There is a limited time to build your case and pursue the compensation you deserve. Dial 516-932-0400 for a free case evaluation from Friedman & Simon, L.L.P.